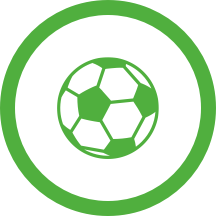 The Santa Clara - Vitoria Guimaraes (Football - Liga NOS) match in 30/03/2019 16:30 is now complete. Hugo Filipe Ferreira De Campos Moreira Miguel blows to end the match. The final score is 1 - 0. Hugo Filipe Ferreira De Campos Moreira Miguel awards Vitoria Guimaraes a goal kick. Free kick for CD Santa Clara in their own half. Bruno Lamas for CD Santa Clara gets in a strike but fails to hit the target. CD Santa Clara awarded a free kick in their own half. Toze of Vitoria Guimaraes smashes in a shot on target. The keeper saves, though. Goal kick for Vitoria Guimaraes at Estadio de Sao Miguel. The home team have replaced Ze Manuel with Thiago Santana. 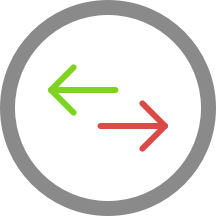 This is the third substitution made today by Joao Henriques. Free kick for CD Santa Clara in the half of Vitoria Guimaraes. Osama Rashid of CD Santa Clara gets in a strike, but is off target. Free kick CD Santa Clara. Throw-in for CD Santa Clara in the half of CD Santa Clara. Throw-in high up the field for Vitoria Guimaraes in Ponta Delgada. Hugo Filipe Ferreira De Campos Moreira Miguel signals a free kick to CD Santa Clara in their own half. CD Santa Clara have been awarded a corner by Hugo Filipe Ferreira De Campos Moreira Miguel. CD Santa Clara have a goal kick. Marco Pereira is booked for the home team. Throw-in for Vitoria Guimaraes at Estadio de Sao Miguel. Alfredo Stephens (CD Santa Clara) has replaced the possibly injured Guilherme Schettine. Vitoria Guimaraes drive forward but Yordan Osorio is judged offside. Guilherme Schettine is writhing in pain and play has been suspended for a few moments. Hugo Filipe Ferreira De Campos Moreira Miguel signals a free kick to Vitoria Guimaraes. Kaio Pantaleao (CD Santa Clara) has received a yellow card from Hugo Filipe Ferreira De Campos Moreira Miguel. Hugo Filipe Ferreira De Campos Moreira Miguel signals a free kick to Vitoria Guimaraes in their own half. In Ponta Delgada, CD Santa Clara push forward quickly but are pulled up for offside. Welthon is replacing Rafa Soares for Vitoria Guimaraes at Estadio de Sao Miguel. Corner awarded to CD Santa Clara. Vitoria Guimaraes will need to be alert as they defend a dangerous free kick from CD Santa Clara. CD Santa Clara needs to be cautious. CD Santa Clara have an attacking throw-in. Joao Henriques is making the team's first substitution at Estadio de Sao Miguel with Osama Rashid replacing Lucas Marques. Vitoria Guimaraes are pushing forward but Toze's finish is wide of the goal. Hugo Filipe Ferreira De Campos Moreira Miguel signals a throw-in for CD Santa Clara, close to CD Santa Clara's area. Hugo Filipe Ferreira De Campos Moreira Miguel signals a Vitoria Guimaraes throw-in in Vitoria Guimaraes's half. Free kick for Vitoria Guimaraes in the half of CD Santa Clara. In Ponta Delgada a free kick has been awarded the away team. Vitoria Guimaraes have been awarded a corner by Hugo Filipe Ferreira De Campos Moreira Miguel. Bruno Lamas of CD Santa Clara gets in a strike, but is off target. The first-half is over at Estadio de Sao Miguel. The away team replace Ola John with Joao Carlos Teixeira. Vitoria Guimaraes make their first substitution with Rochinha replacing Mattheus. CD Santa Clara have a dangerous throw-in. Bruno Lamas (CD Santa Clara) has been booked and must now be careful not to get a second yellow card. 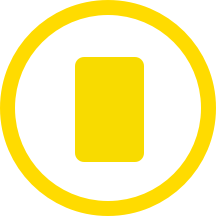 Mattheus (Vitoria Guimaraes) gets a yellow card. Can CD Santa Clara get the ball into an attacking position from this throw-in in CD Santa Clara's half? Vitoria Guimaraes are coming forward and Alexandre Guedes gets in a strike, it misses the target, however. Goal! Ze Manuel gives CD Santa Clara a 1 - 0 lead in Ponta Delgada. Patrick Vieira with an assist there. CD Santa Clara's Guilherme Schettine misses with an attempt on goal. Ball safe as CD Santa Clara is awarded a throw-in in their half. Vitoria Guimaraes push forward through Alexandre Guedes, whose finish on goal is saved. Alexandre Guedes for Vitoria Guimaraes is back on the field again. The match at Estadio de Sao Miguel has been interrupted briefly for a check on Alexandre Guedes, who is down injured. Cesar gets his shot on target but fails to score for CD Santa Clara. Vitoria Guimaraes are pushing forward but Davidson's finish is wide of the goal. Ola John for Vitoria Guimaraes gets in a strike but fails to hit the target. In Ponta Delgada a free kick has been awarded the home team. Hugo Filipe Ferreira De Campos Moreira Miguel awards CD Santa Clara a goal kick. Vitoria Guimaraes are caught offside. Today's referee, Hugo Filipe Ferreira De Campos Moreira Miguel, has blown to start the match.